According to racer.com, a new Ferrari will be racing in this year's Rolex 24. The Risi Ferrari team will be introducing their new Ferrari 488 in the IMSA GT Le Mans class. The Scuderia Corsa team will also be racing a Ferrari 488. You can see it's sleek lines in private owner garb at an autoshow in Geneva. 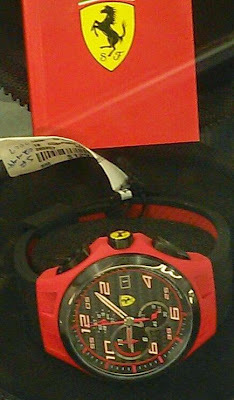 If you love all things fast, red, wheeled, and Italian, you may want to add a Ferrari watch to your personal collection. 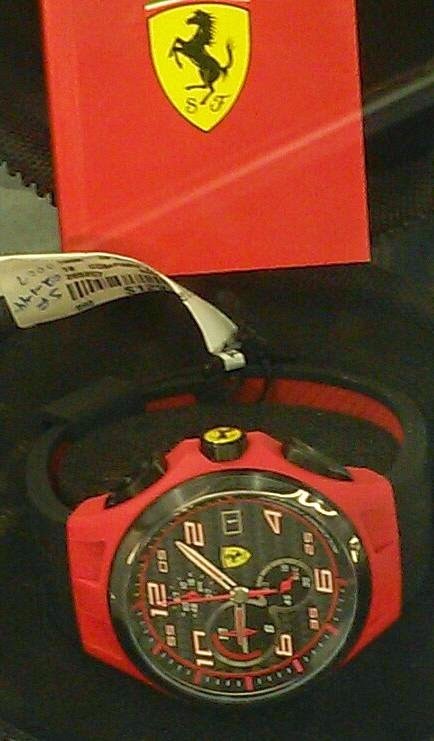 Ferrari watches feature the famed prancing horse and a style inspired by the exotic super cars. These watches fit on any wrist with sporting potential and many of them have a fast racing look. It will be interesting to see how the new Ferrari 488 GT cars fare in the grueling Rolex 24. Hopefully, they will continue to uphold the winning tradition of the prancing stallion.